Watch my video report from the 2012 festival. The spring melt is inevitable, though it doesn’t feel that way with massive amounts of snow everywhere. To give you some idea of the kind of winter it’s been, I shot this from the train coming in from the west in late-March. This mountain of snow that dwarfs the heavy equipment tending it is some of the snow cleared from Winnipeg streets this winter. Click pic to start 30 second clip. Depending on snow quality and quantity as well as melt rate, Manitoba could be in for a heavy flood season..or not. The province has another new flood watch manager who on March 31 predicted the potential for spring flooding is near normal for most of the province. Translated out of Steve Ashtonese, it’s goodish news! In fact, the flood news is downright rosy. We won’t need the Winnipeg Floodway nor the Portage Diversion this year, well, maybe we’ll just use 10% of them. Highway 75, frequently bathed by floodwaters, won’t get a bath year. The Shellmouth Reservoir has been drained down to catch all the incoming Assiniboine River. Oh yeah…this depends on cooperation from the weather which hasn’t been very cooperative so far this year. Flood predicting is hydrological guesswork, playing the odds as discerned from computer models. There are three Manitoba sites where flooding is very likely to occur: The Pas, southwest Manitoba and some low-lying areas of Winnipeg due to run-off. Above normal soil moisture and snow pack means The Pas will likely experience localized flooding from run-off. The Souris River, whose headwaters has above average snow pack this year, will threaten the Souris/Melita area and points south. A Winnipeg flood truly depends on a slow melt. Our sewers are old. The whole flood report is here. If the province is inundated I will start my summer travels early to provide firsthand flood reports. Otherwise I’ll hit the road in early May. My summer travel plans will have a distinct focus this year which can be described with one word: inside. I’m always looking for new wrinkles on old stuff. Blog readers and viewers flock to my heritage reports from inside old abandoned buildings so that is where I will focus my cameras this summer. I have a short list of places to record and I’m open to suggestions. Watch for my reports starting in May. 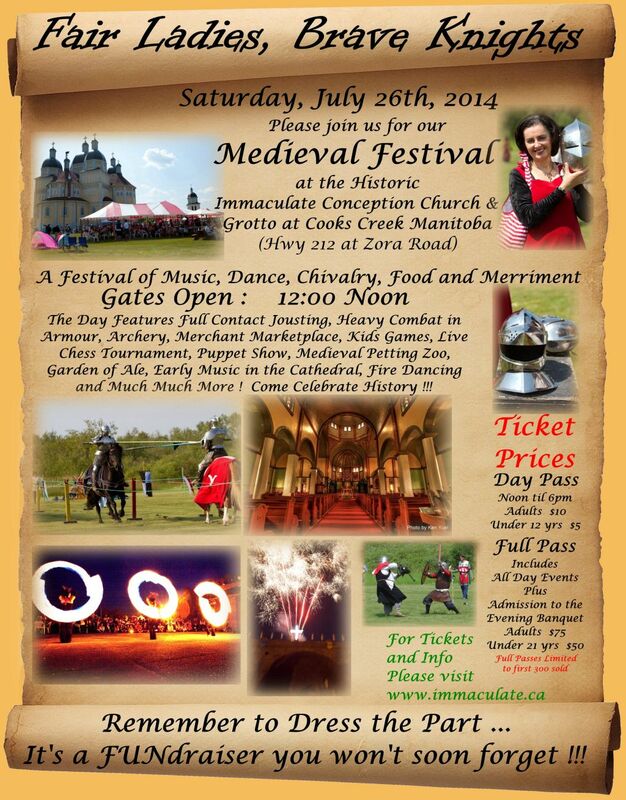 During our gorgeous Manitoba summers we are treated to a panoply of festivals, events and happenings. 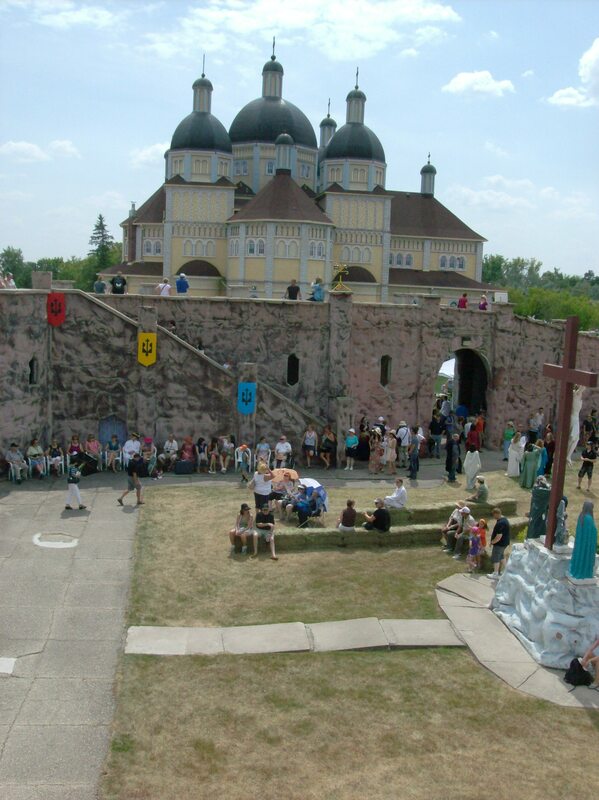 World-renown Winnipeg Folk Festival July 9 to 13, 2014 enlivens Bird’s Hill Park for the forty-first time. Among the performers this year are Buffy Sainte-Marie, Joan Baez, Bonnie Raitt, John Hammond, the Sheepdogs and a hundred others. 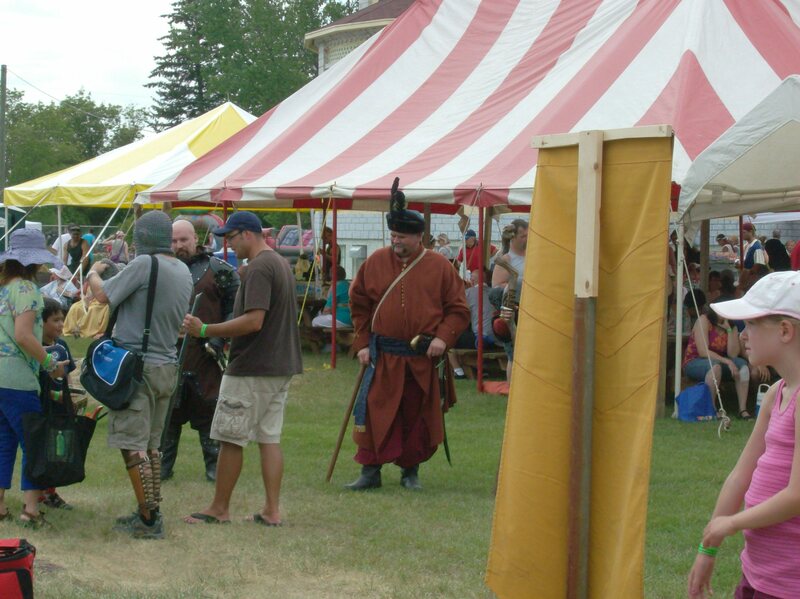 Every second year Cooks Creek becomes the scene of jousting, fair damsels, ogres, armoured hand-to-hand combat, fire dancers, jesters, archery and all things medieval. 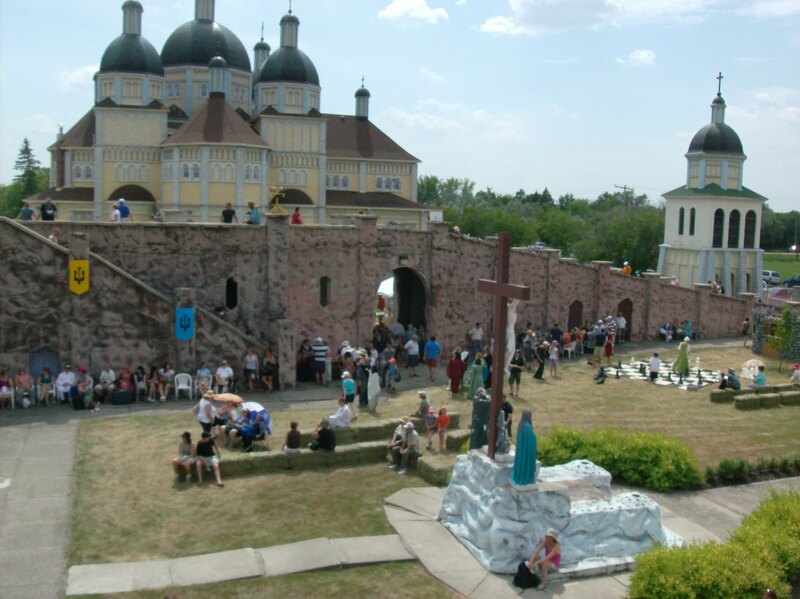 This year their Medieval Festival on the grounds of Immaculate Conception Church and Grotto will be held Saturday, July 26. 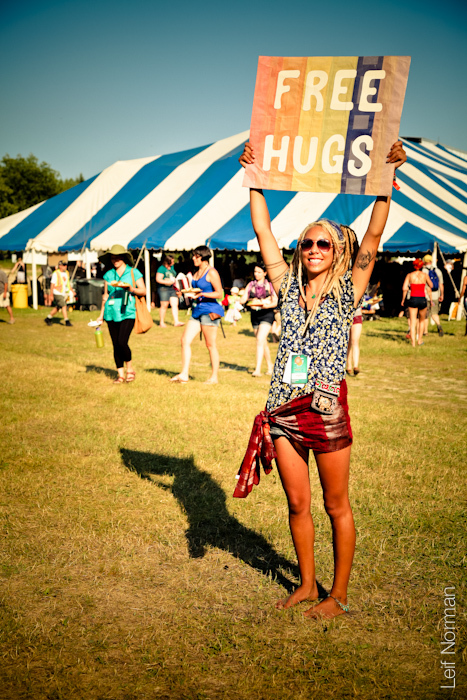 At $10 a ticket it’s one of the best festival bargains in Manitoba. Watch my report from the 2012 festival. 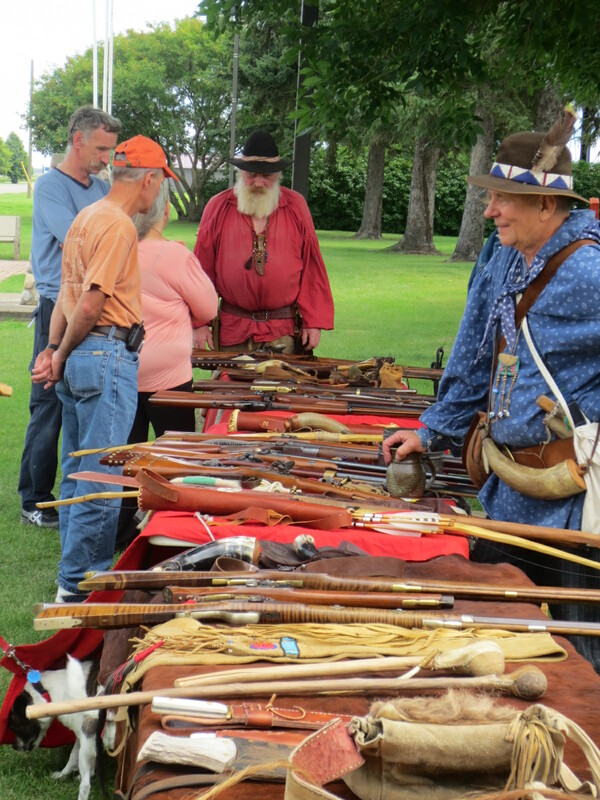 The first annual Carberry Heritage Festival last year gave the town an opportunity to celebrate and share its past, show off its wealth of heritage buildings and its hospitality while bringing some new faces to town. 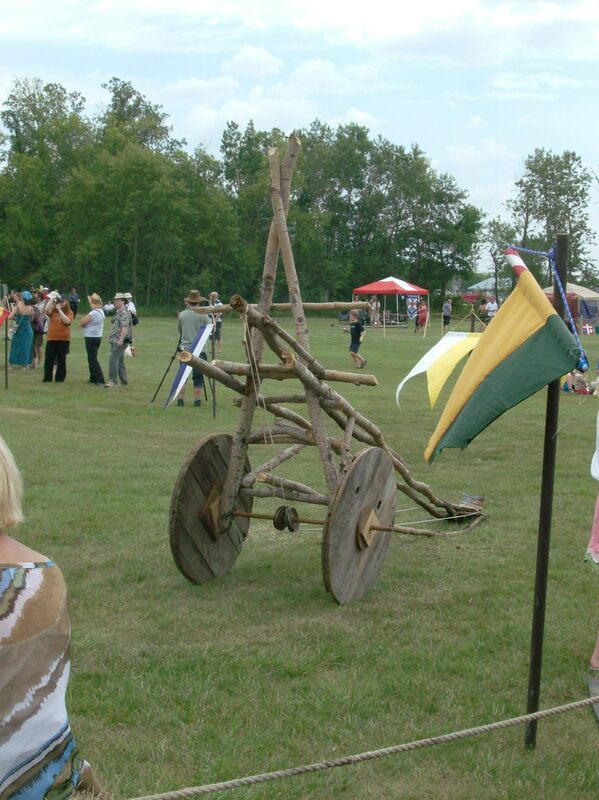 It was deemed a success and this year’s Carberry Heritage Festival will be held Friday and Saturday August 8 & 9, 2014. Once again I will help promote the event and document the festivities. I’ll be posting their schedule of events closer to the festival. Watch my report from last year’s festival. 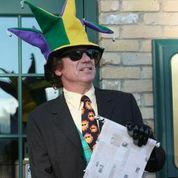 A brand new idea that should appeal to communities of all sizes was hatched last year by the people who promote Dauphin. They created Yardfringe, the first event of its kind anywhere. For the gist of it, read my report from last year’s event. In 2014, Yardfringe will happen Saturday September 27 as part of their Arts Alive Day. I’ll have more details as they become available. Other events are yet to be announced but when they are green-lit I’ll post them here. We Manitobans have waited with varying degrees of patience for this winter to end. When it does, all the more reason to celebrate. See you on the road.